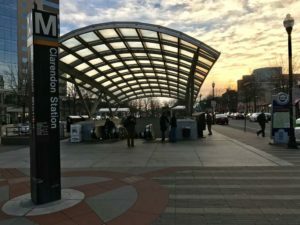 Anyone looking to get online at some of Arlington County’s Metro stations can now do so using free Wi-Fi provided by Metro. As part of an expansion to 24 more stations, users at Rosslyn, Clarendon, Courthouse, Crystal City will now be able to access the free wireless internet. Free Wi-Fi is now offered at 30 underground Metro stations throughout the system. Metro said it expects that all other underground Metro stations — which includes the likes of Ballston, Virginia Square and Pentagon City — to have free Wi-Fi by mid-2018. And for those riding Metrorail on New Year’s Eve, special late-night service will run until 2 a.m. for those returning from festivities. And in addition, track work will be suspended from 6 p.m. on New Year’s Eve through closing New Year’s Day.